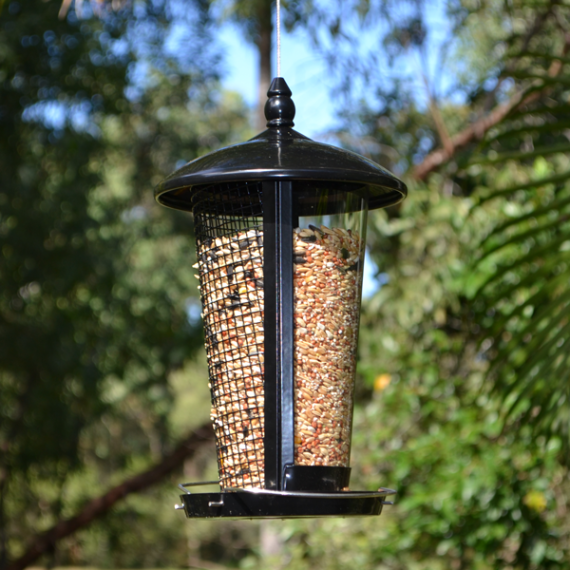 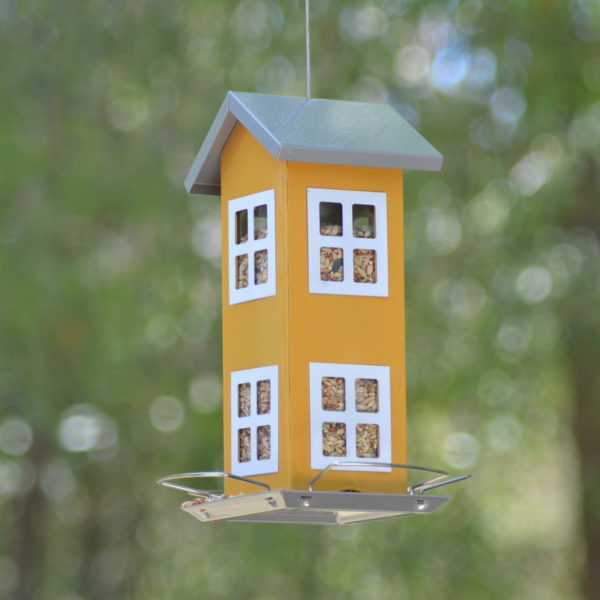 This black Dual View Bird Feeder is a premium Nature Mates feeder. 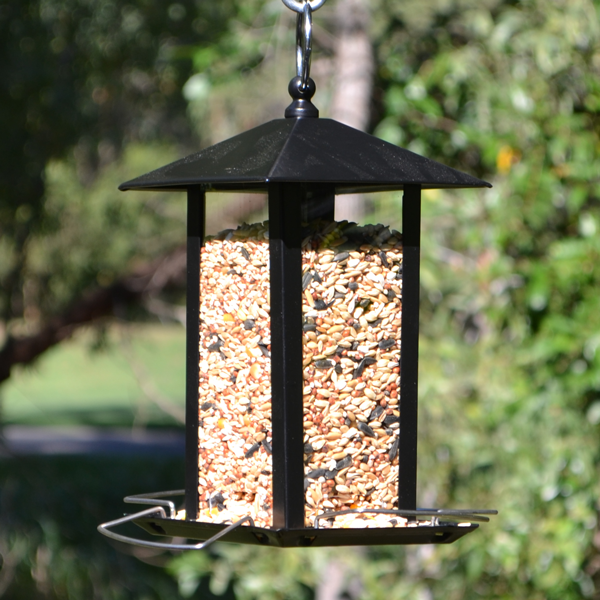 It is like two feeders in one. One side, displaying a clear perspex cover, dispenses seed through the bottom tray, while the other, a metal mesh side, allows birds to feed on the seed through the mesh while also providing grip. 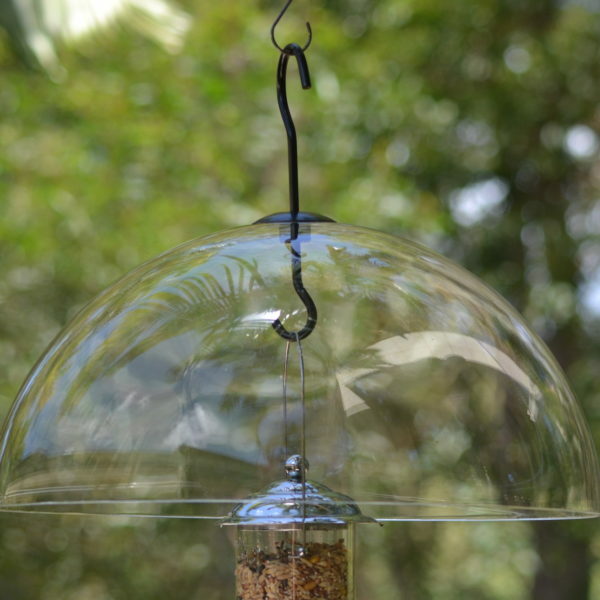 The two sides of the feeder are also separate from each other and so can hold 2 different types of seeds or nuts, allowing you to attract different species of birds that can feed at the same time. 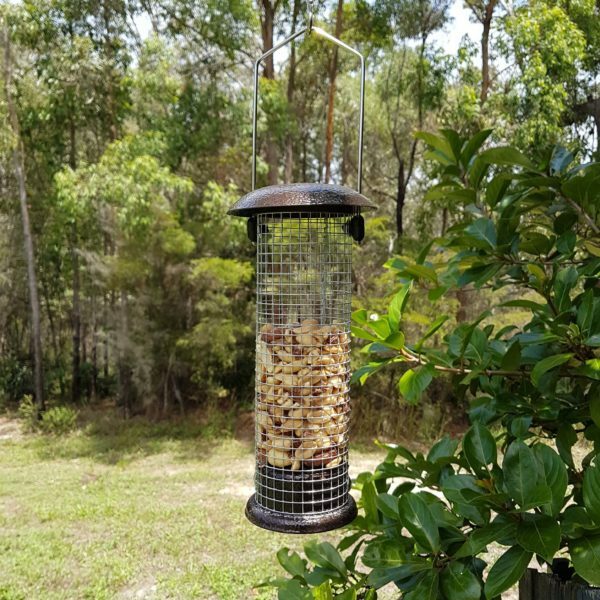 It’s extremely easy to clean and fill, just unscrew the metal bobble on the top of the feeder , lift off the lid to open and fill with wild bird seeds and nuts. 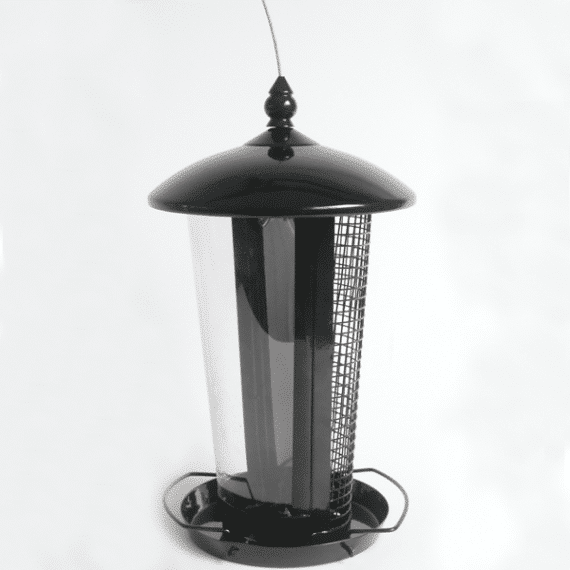 Made from eco-friendly, coated iron sheet, iron mesh and perspex.